If you are not familiar with Walt Disney World’s on property Deluxe resorts, let me get you up to speed. 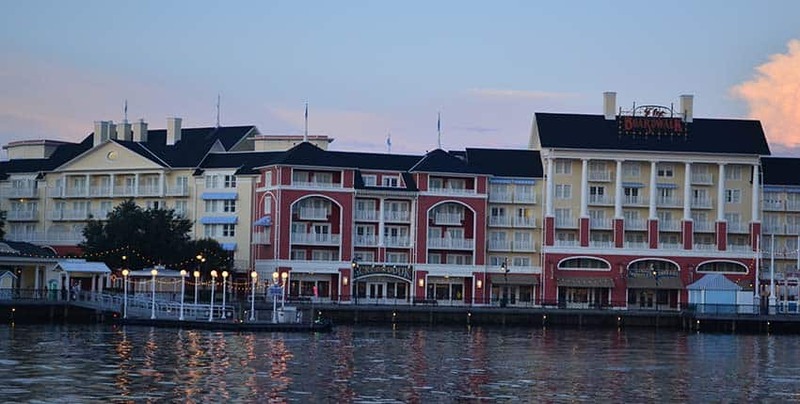 Disney’s Boardwalk Inn is what Disney World calls a Deluxe or Deluxe Villa Resort. This is because The Boardwalk Inn has a standard room and also Villas (studios, 1 bedrooms, 2 bedrooms and grand villas). Think of the Villas as really awesome suites with full kitchens a living room, a bathroom to die for, you get the idea. Now the Boardwalk Inn standard rooms a the hotel are very nice, so don’t pass those up. Disney’s Boardwalk Inn of course is on an expansive wooden boardwalk by the water and this makes the resort very popular. The boardwalk goes around a lake and also connects the Disney Beach Club Resort, Yacht Club and Dolphin and Swam resorts. Pro Tip: If you have some jet lag from traveling and are up early, like I am, head out to the boardwalk for a morning walk or run. The boardwalk is beautiful at 4 AM, 7 AM, you get the idea. You can also grab a pastry about 7AM or so and a coffee and start your Disney day. Disney’s Boardwalk Inn has some very nice rooms. We were just there and had a very nice room overlooking the main pool. Ok, the pool has a boardwalk midway theme and has a giant roller coaster themed slide with a massive clown face. It fits the theme but some guests find the giant clown a little odd. The rooms are very nice. They are large rooms and have recently been updated in 2017. For that matter the rooms at all three EPCOT area resorts are all on the larger scale for a Disney resort. Of course when you move up to a Boardwalk Villa you add a kitchen, washer and dryer, living room etc. and these accommodations are perfect for a longer Disney World vacation. The resort has a laid back feel and the boardwalk comes alive at night. Walking on the boardwalk has a family friendly feel. There is enough to do after you get back from your day running around the Disney World parks, or the boardwalk makes for a nice day off from the parks. 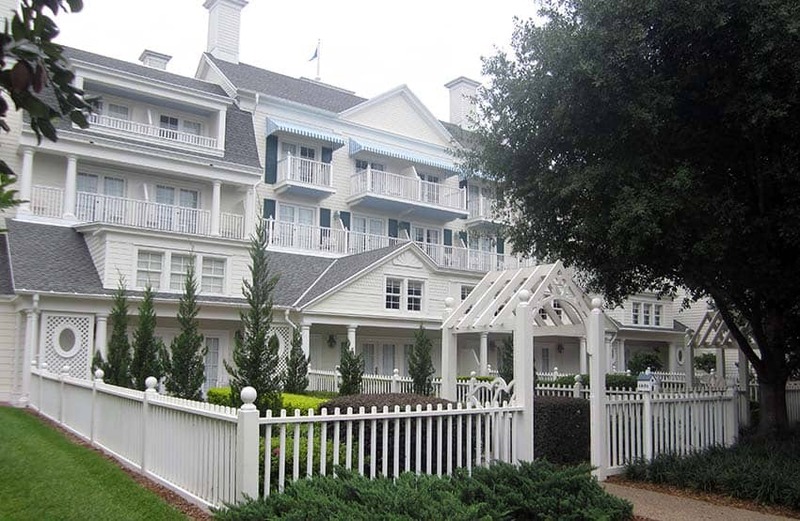 You can easily stay at the Disney Boardwalk Inn as a destination resort. Just enjoy the pool, there are loads of restaurants on the boardwalk, Jelly Rolls and the Atlantic Dance Hall are up late for night time entertainment. There are two of my favorite little know bars here too. Abracadabar is a fun bar on the boardwalk that is a backstage area for magic acts getting ready to perform. This bar has a unique Disney theme and hidden magical elements as well as some magical drinks. There is also a tucked away lounge in the Boardwalk Inn itself. The belle vue lounge is upstairs and away from everything. It’s not easy to find which makes it great for a small group gathering where you can talk and enjoy the evening. The Boardwalk Inn also has some unique room categories. There are rooms that overlook the boardwalk itself which has nice views. There are also hidden rooms like the Boardwalk Cottages. These private little cottages each have a garden area that you walk though to get to the entrance and are perfect for honeymoons or special occasions. The location of the Boardwalk Inn resort is ideal. Disney’s hotel is located right behind Epcot and also minutes away from Disney’s Hollywood Studios. You can take a boat to either one or walk. The walk to each park is very nice. This makes the Disney EPCOT resorts very popular with locals and regulars for special events. For EPCOT’S International Food and Wine Festival it can be difficult to find a room at the Boardwalk Inn, so book early. Have you stayed at Disney’s Boardwalk Inn? Please share your advice and tips. We would love to hear your thoughts on the Boardwalk Inn.